Played football since early teens, squash from early thirties, worked hard until my late fifties. On retiring guess I just missed that competitive edge to life. It only took a few sessions at my local bowls club in 2013 and I was well and truly hooked. Here was the competitive element I'd been missing so much, with the bonus of a lovely tranquil setting and very sociable opponents. Initial thoughts were 'just how difficult can this be?' Entered all the club competitions. Turned up for my first singles competition match ready to show the bowling world what I could do. Promptly got thrashed by an opponent who suffered gout in his bowling arm and was considering giving the game up. Maybe there's more to bowls than I thought. Having discovered the game is deceptively difficult, trotted off to the library for a book on bowling. Got some tuition and attended all the social roll ups for practise. In my first season managed to make it as far as Club Finals Day, runner-up in the pairs final. In my second season I won a competition. What a buzz! 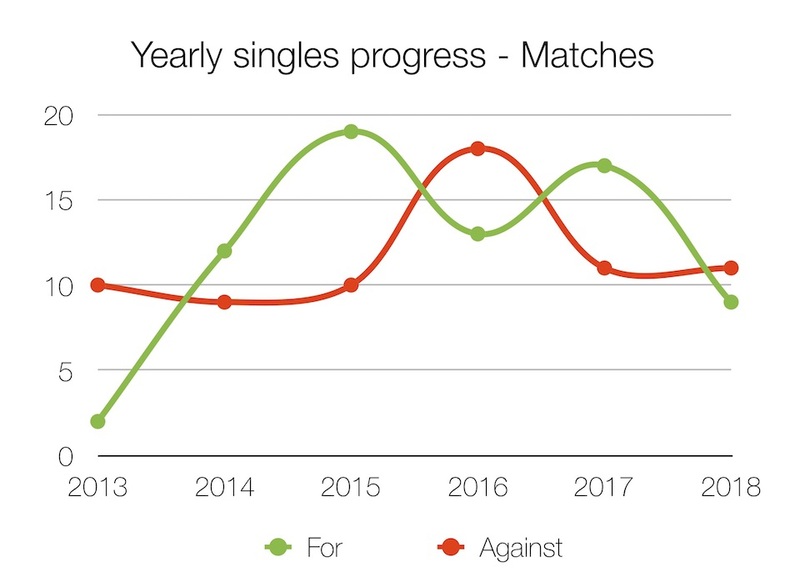 Below is an idea of progress in singles matches since my first season. Most successful season was 2017. Entered eight Club competitions, reached four finals and won three. Looked forward to even better success in 2018, maybe in County competitions. Just didn't happen. Why? I again changed something, the most major of all. After a poor start, switched my crouching style of delivery to an upright stance. Initially made things better, but just not good enough. Move back to my old style and success returned, but too late for Club competitions. Didn't make an appearance on Finals Day, the first time. There were successes. Won both home and away in the Biggleswade Battles. And won both the Harry Roscow Trophy competitions. 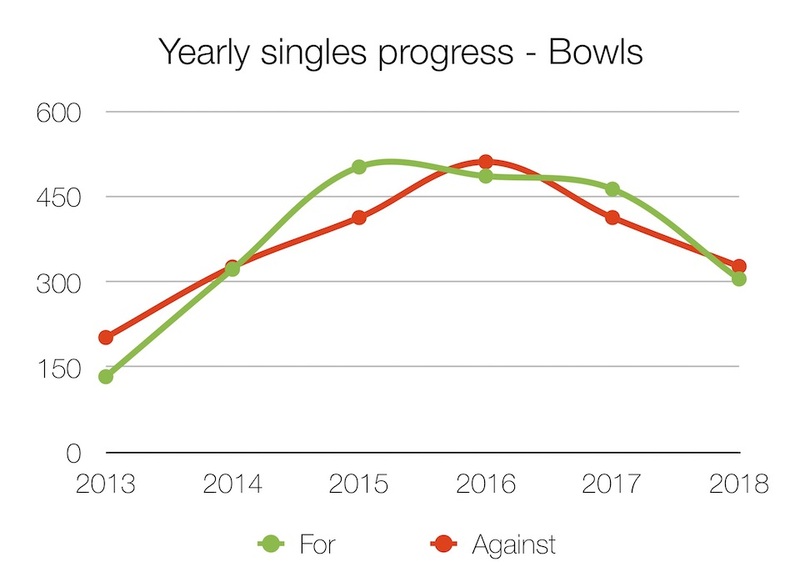 Quite glad the graphs below chart quite a small negative result in matches and bowls won. Thought they were going to show more of a disaster. The style motto to infinity is : Don't change anything!